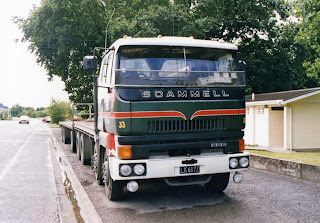 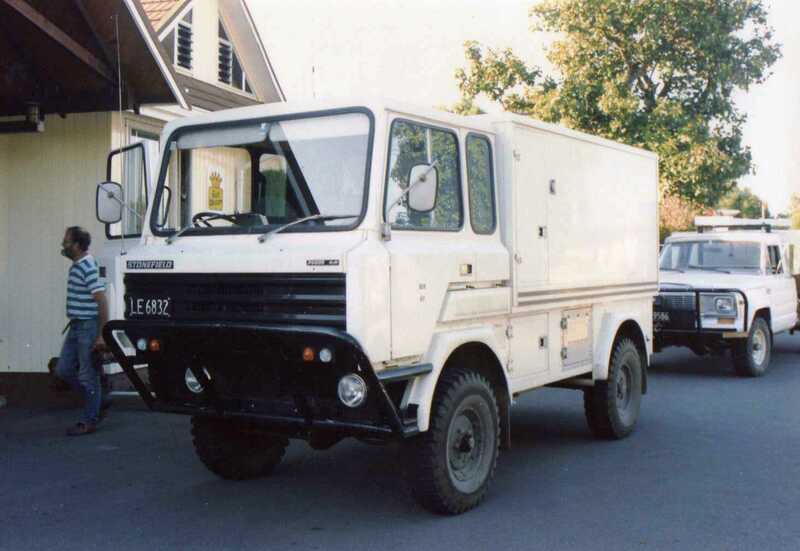 Here are a few more truck photos taken in the 80s or early 90s. 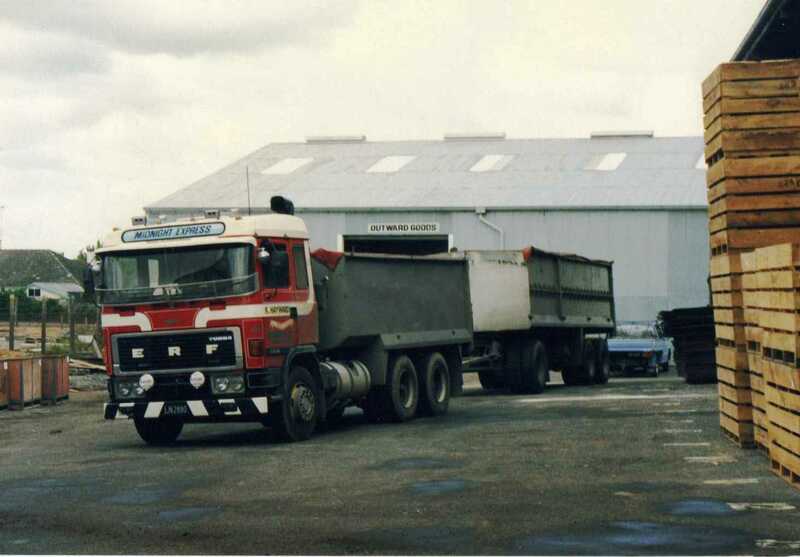 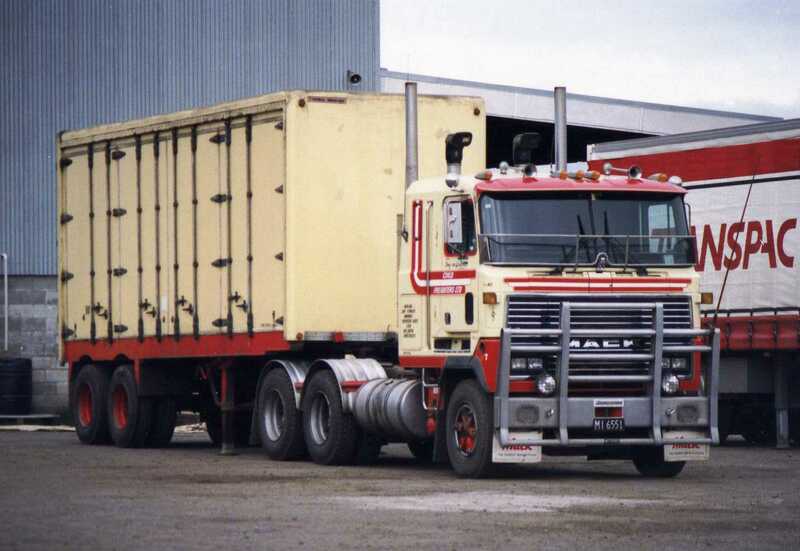 This 1986 Mack Ultra-Liner MH688RST was operated by Robert Robinson in the Southern Wairarapa . White Line Freight hauled biscuits for Aulesbrooks in this 1983 Misubishi FP313JR. 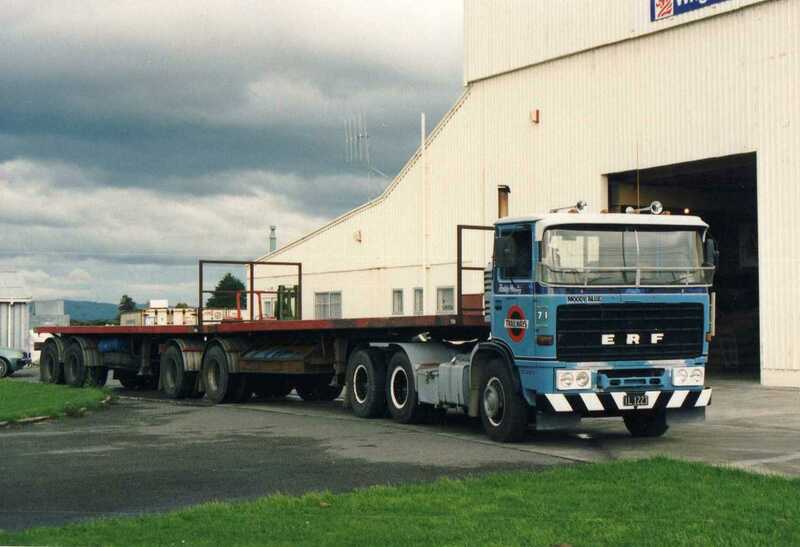 Here it is unloading at a warehouse in Chapel Street Masterton. 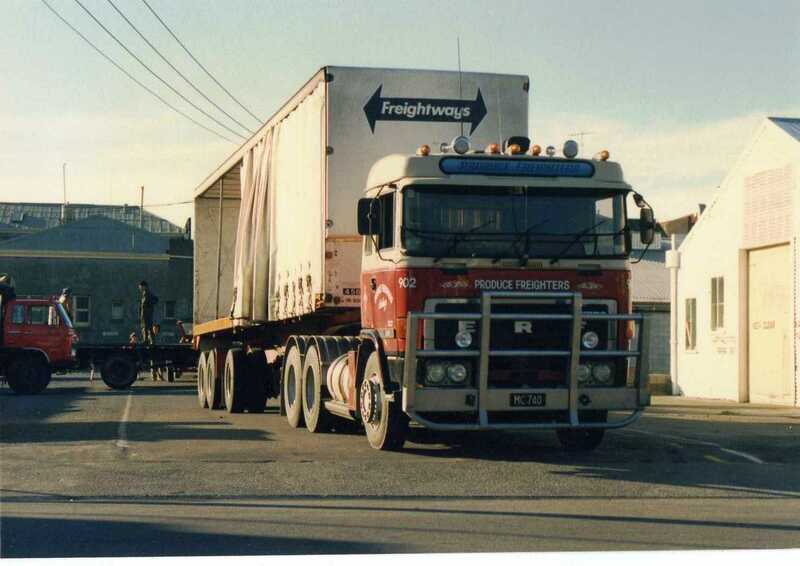 A Scammell S26 of Kevey's Transport is parked in Dixon Street Masterton with empty decks. 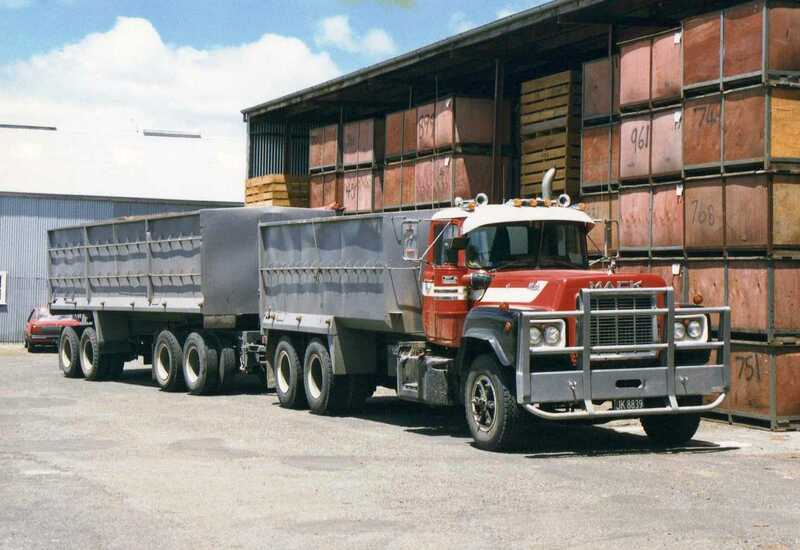 An S.Cronin R series Mack with grain bodies awaits a load at a Masterton grain merchant. 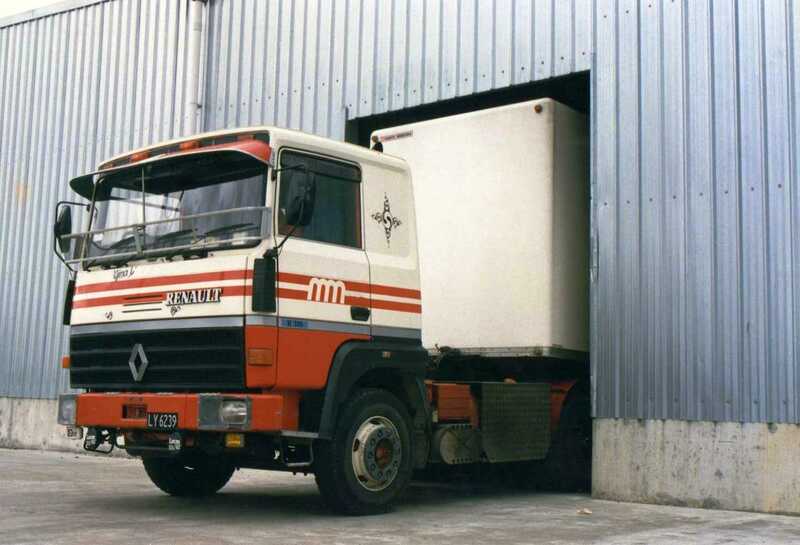 Renaults were only sold for a short time in NZ. 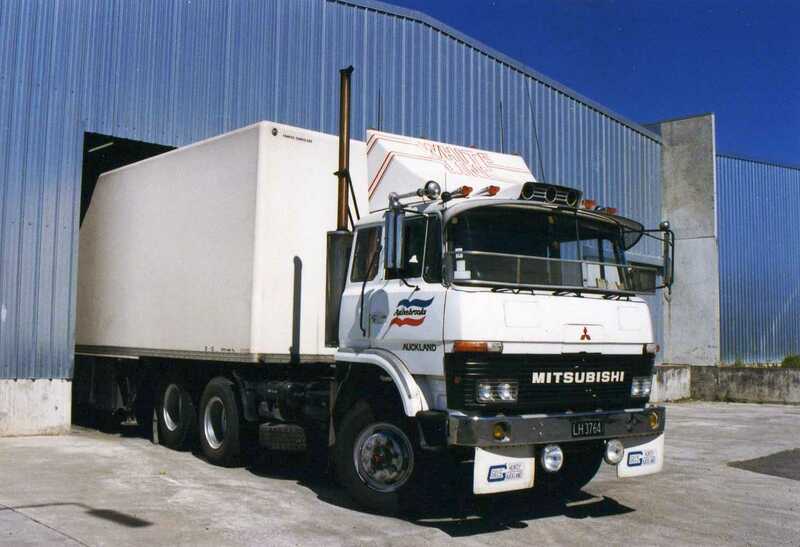 This 1985 R310 is at the same warehouse as the Mitsubishi shown previously. 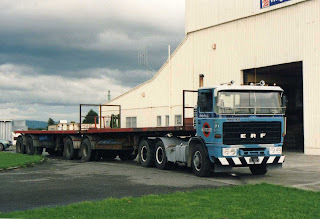 This ERF of Produce Freighters with its self-steer semi-trailer was a regular visitor to the produce market in Masterton's Dixon Street. The 4x4 Stonefield was built in Scotland. 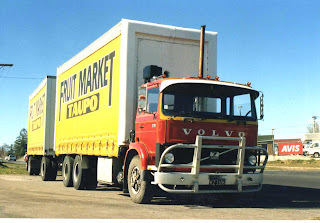 This is the only example I have ever seen in NZ. 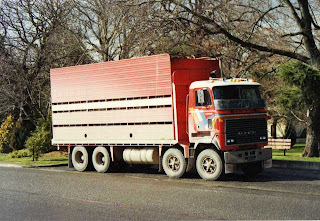 This 1979 model is at the Golden Shears Motor Inn in Masterton. 370hp of Cummins propells this 1984 ERF with its grain bins. 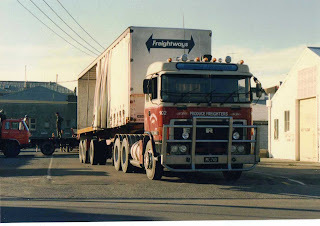 "Midnight Express" was operated by K.Hayward. 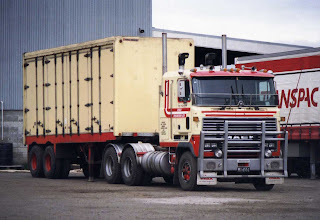 This day cab ERF of Trailways with flat deck B-train is at Wrightson Seeds in Masterton. It first went on the road in 1977. 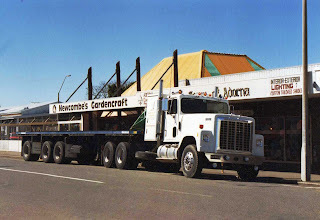 With its landing legs still fully down this trailer is probably not actually coupled to the 1986 MHS622RST Mack Ultra-Liner. 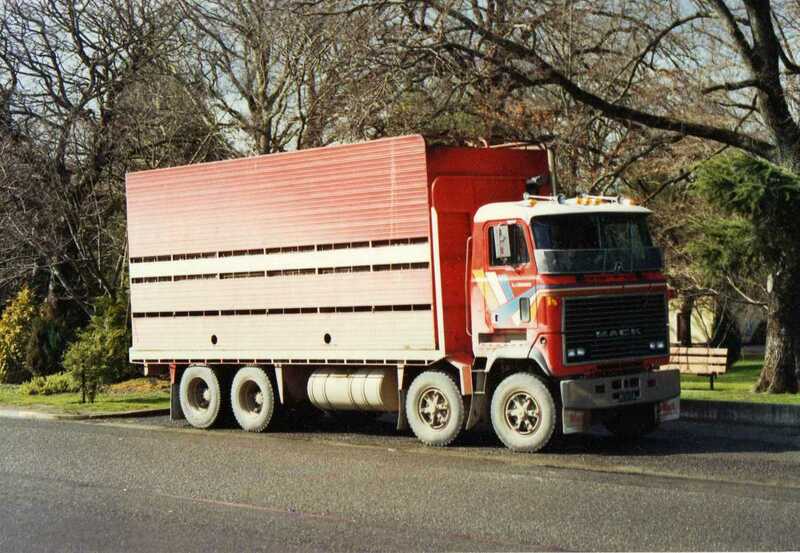 This trailer has doors which fold to open up the whole of one side. The spoke type wheels, tall stack and flat "West Coast" style mirrors are typical of the Australian sourced Volvos that came to NZ in the 80s. 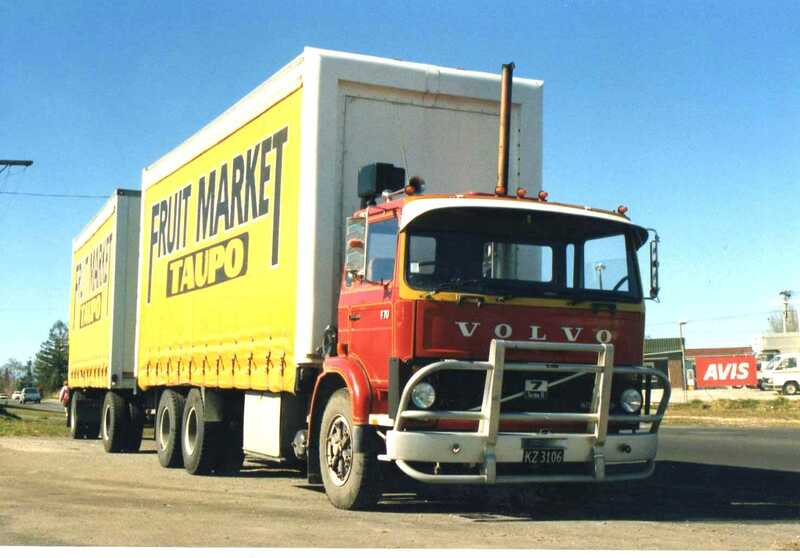 This F717 operated by Taupo's fruit market was of 1983 vintage.